Feel the wind, feel alive! The warm water and shallow lagoons around the island, combined with a constant breeze, make Kudadoo a good starting point for you to take on kitesurfing or to improve on your gravity-defying jumps and tricks. Periods between November through to January, and June to July, normally offer the best conditions as the seasonal winds pick up enough to entice the kiters out onto the water. 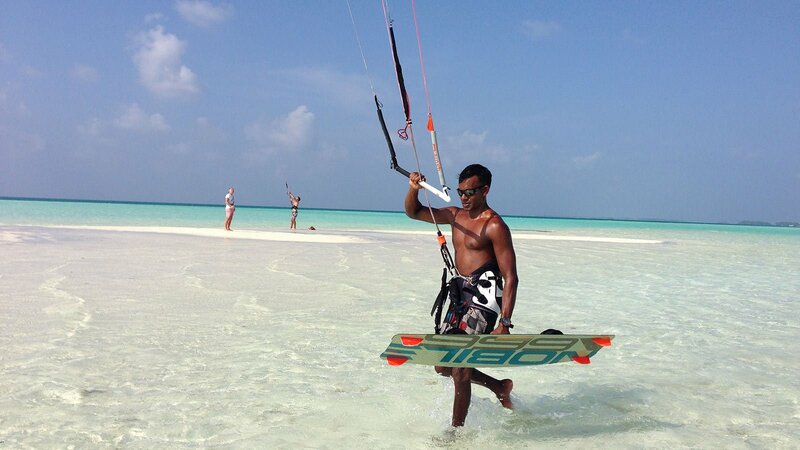 Kitesurfing guarantees an incredible sense of freedom and syncs your mind and body with nature’s elements. Take private lessons with our VDWS-certified instructors to prepare you for effortless, mindful kitesurfing sessions during which ‘now’ is the only moment that exists.